An airport employee, right, holding flyers she received from Masbia staff and volunteers at LaGuardia Airport, Jan. 15, 2019. Photo: Screenshot. Staff members and volunteers of a Jewish soup kitchen and food pantry handed out flyers for free food at LaGuardia Airport on Tuesday to federal employhttps://www.algemeiner.com/2019/01/17/jewish-soup-kitchen-offers-free-food-to-unpaid-federal-employees-at-laguardia-airport-as-government-shutdown-grinds-on/ees struggling as a result of the ongoing US government shutdown, now in its fourth week. Masbia, a New York-based non-profit group, posted on social media photos and a video of its members distributing flyers to Transportation Security Administration (TSA) officials and other federal works inviting them to visit the soup kitchen’s three locations across New York City to pick up groceries or hot dinners, all at no cost. The pamphlet noted that everyone was eligible for the meals. Masbia also gave out flyers at John F. Kennedy Airport on Wednesday, according to the soup kitchen’s Facebook page. 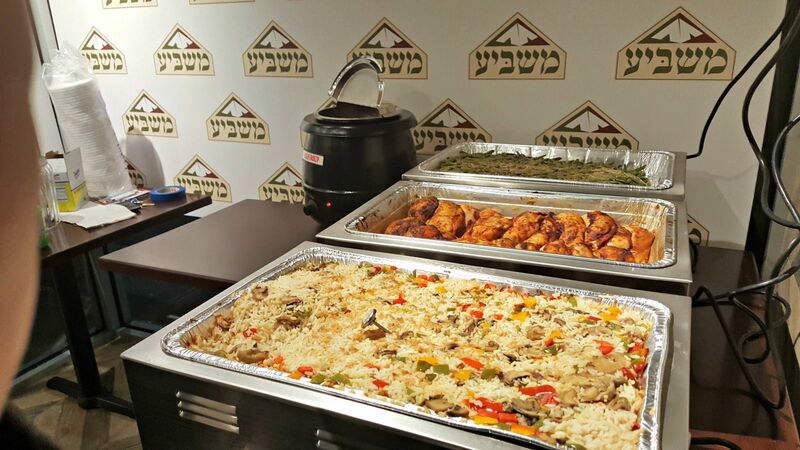 Masbia of Queens, along with the Flushing Jewish Community Council, are also scheduled to distribute free food — including boxes of donated food items and hot dinners — to federal employees and their families on Jan. 22 at Temple Beth Sholom in Queens.